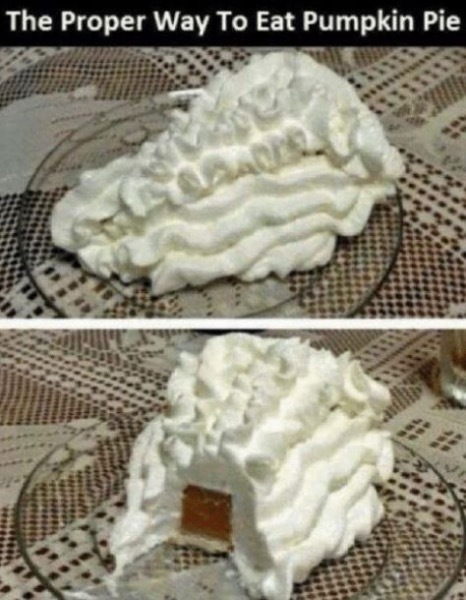 It’s not a tunnel, but a small bit of pumpkin pie, covered in whip cream. Do you eat it off the floor? If you look closely, you’ll see it’s a glass plate, with a ugly tablecloth underneath it. Karl, hey it's about time you's do !